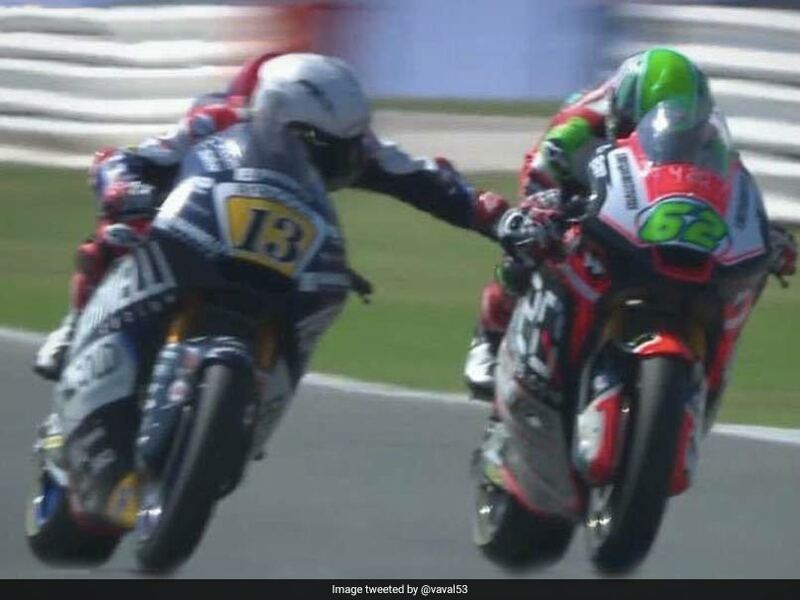 Moto2 rider Romano Fenati shockingly pulled his rival Stefano Manzi's brake lever while riding at a speed of over 200kph. The MotoGP has seen its fair share of controversies over the years but none so incredible as the one that took place during a Moto2 race at the San Marino on Sunday. Romano Fenati, a Moto2 rookie this year aboard a Marinelli Snipers-run Kalex bike, pulled his rival Stefano Manzi's front brake while racing at 220kph. Manzi momentarily lost his balance but managed to bring his bike under control. Fenati was immediately black-flagged and disqualified after 23 laps and was later banned for two races by the FIM MotoGP panel. Fenati was also sacked by his team who confirmed they were severing his contract "for his unsporting, dangerous and damaging conduct for the image of all". The stewards panel announced that Fenati would miss the next two races in Aragon, Spain on September 23 and Thailand on October 7 for having "deliberately attempted to cause danger to another rider". A few laps before the shocking incident, Manzi and Fenati made contact after the former overtook on the inside. Both riders ran off the track and dropped down the order. On Monday, Fenati apologised for his "impulsive" behaviour. Italy's Francesco Bagnaia, of Kalex, won the Moto2 category race in Misano on Sunday ahead of Miguel Oliveira of KTM, to extend his lead over the Portuguese rider to eight points in the overall standings.